I make my own detergent because it’s mostly all-natural, safe for HE washers, and lasts much longer. I’ve been making my own laundry detergent for years now and I get asked for my recipe a lot. Over the years I’ve changed it up and modified it according to what works best. At one point I was making homemade liquid detergent but that started to take up too much space (all the extra bottles of detergent) and more time consuming than I liked. I switched to making powered detergent and find that I prefer it much more. It takes up less space and is easier to throw together! I make detergent about once a month. Our family goes through an average of 100 loads of laundry a month (gasp!). Yeah, that’s a lot! But between sports, work clothes, gym clothes, towels, bedding, etc. there is just that much for a bigger family. The ingredients in my recipe make enough for a month, around 100 HIGH CAPACITY loads. I’ve started adding OxiClean and scented laundry booster beads to my recipe, although this is completely optional. The OxiClean helps with kid’s clothes and sports, and the scented boost gives it some scent. If you want 100% all-natural and even more affordable detergent, you can omit these. Cost-wise, this is how it breaks down for our monthly detergent budge. Based on current costs at Walmart. When you break it down it doesn’t seem like you are saving a whole lot, especially when you can buy a 100 load liquid generic detergent for the same price. However, those generic detergents never get me 100 loads. I’m lucky if I can get in half of that in my high capacity washer. 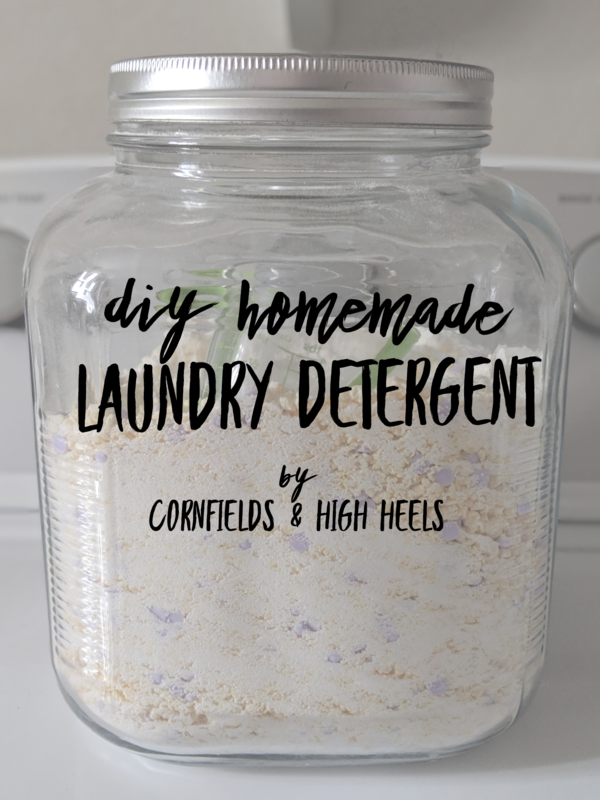 My recipe makes enough for around 100 full loads, so essentially I’m saving around 1/2 cost-wise for more natural detergent which also includes Oxiclean and scent boost. Mix grated Fels Naptha with all other ingredients in a large bowl or container. Keep detergent in a sealed container or bag. Use 2 Tables of detergent per 1 high capacity load of laundry.